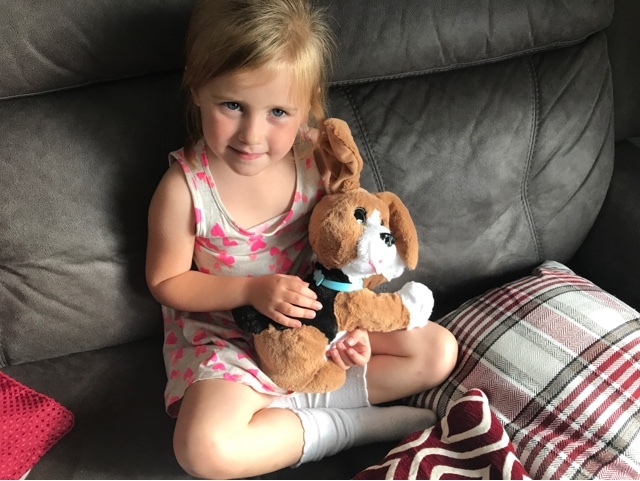 We don't have pets at home, although we would love a dog, it's just with time, space and finances it isn't really possible right now but that's ok because the girls have recently found a suitable replacement, and that comes in the shape of FurReal's Chatty Charlie the Barkin Beagle. With a RRP of £59.99, this is one cuddly puppy who just loves to talk, well bark to you. And believe me he has a lot to say, with 80+ barks to phrases. 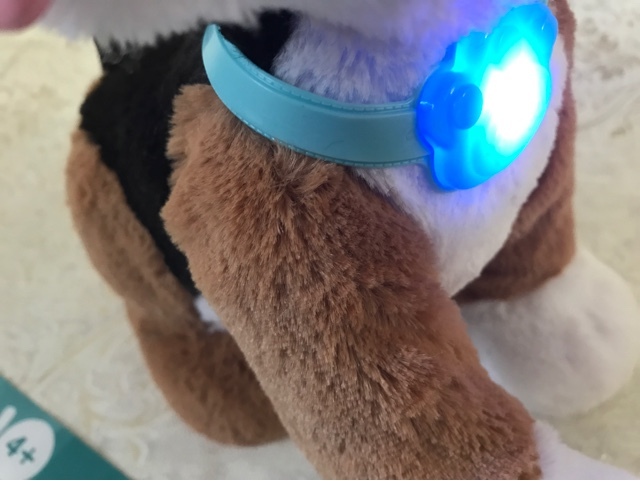 His collar even lights up as it translate what's being said as he barks. 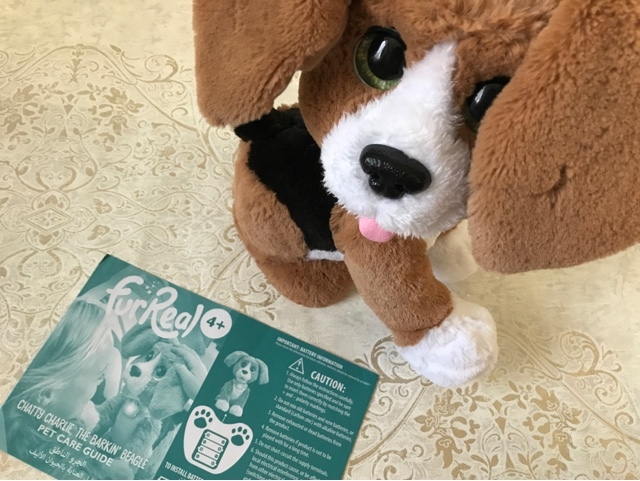 Your kids will be able to chat with this pup for hours at a time. 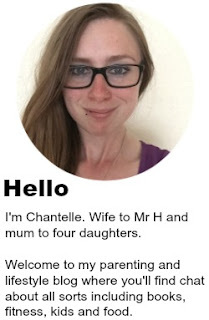 Charlie and his big eyes is a real charmer, and a comedian too, he can even be a little rude when he happens to 'pop' and try and blame it on others in the room. 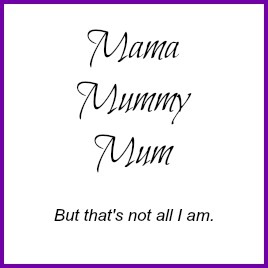 This had my children howling with laughter, sounded just like their dad! I think it is a great interactive toy. He's very expressive because as he communicates his ears move to, up and down, even covering his face when he gets a little embarrassed. I actually think it's a good way of getting younger ones used to the idea of showing their emotions and understanding them. 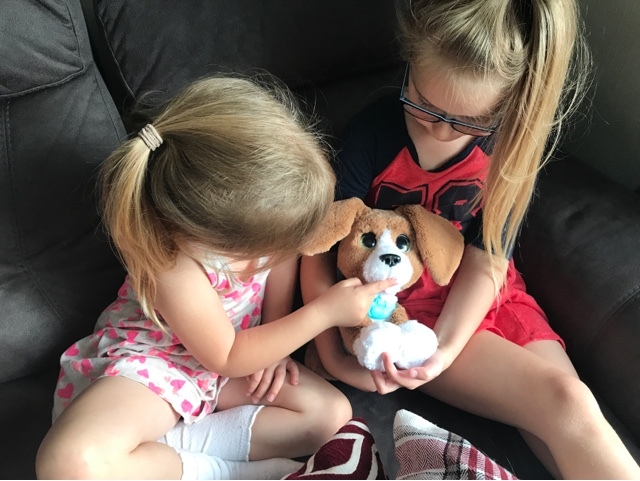 This pup responds well to both sounds and touch and with manoeuvrable legs, he can be put in the perfect cuddle position and the best thing that my girls discovered, when you pat a certain spot on Charlie's back, he even wags his tail. A bonus from a parent point of view is that the toy comes complete with batteries so it can be played with straight out of the box. And even better it has an off switch so when the 'chattin' gets too much you can make Charlie less talkative for a while. 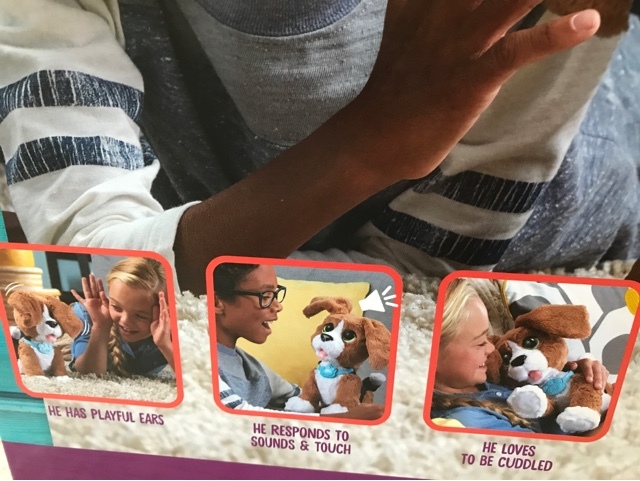 I think the only real negative I could find was the fact that because the interactive element, the puppy wasn't as cuddly as I'd like, don't get me wrong he was lovely and soft to stroke but he wasn't squishy like a proper cuddly toy, more plastic like. 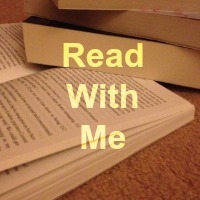 Not that this bothered my kids in the slightest. 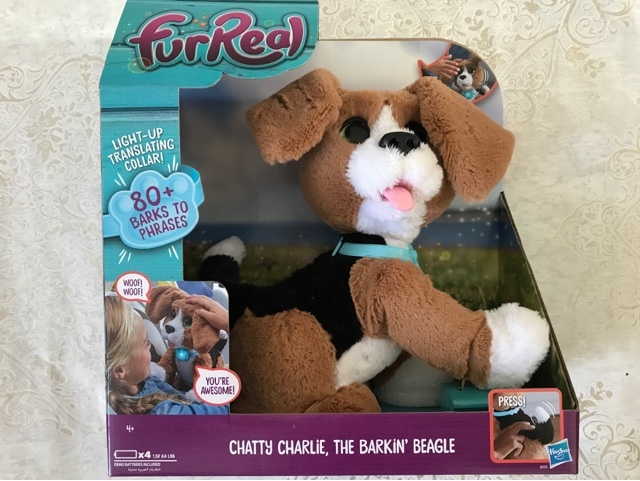 FurReal Chatty Charlie has been a big hit with my youngest two, it's actually been nice watching them playing so nicely together, sharing, taking it in turns as to who gets to cuddle him next. A great replacement for the real thing according to them as you don't need to walk it or pick up its poop. I'll admit that it isn't the cheapest toy but it is one that definitely provides plenty of entertainment, even becoming a bed time companion. I can see this pup making its way on to many Christmas wish lists this year.